If you like to go fast, you’ve come to the right place. Jet aircraft are, arguably, the crowning achievement of today’s aeronautics industry. And yet, experts predict that we’ll see massive improvements in their capabilities over the next decade. Supersonic business jets (SSBJs) are one of the most eagerly anticipated of these vehicles, and they should be commercially available in the next four to five years. But that’s in the future — what about today? What are the fastest jets you can get on board of today, and what are the fastest you probably won’t be allowed to fly? Let’s find out. Unsurprisingly, military forces around the world have a monopoly on the fastest jets today. So, in order to give this list some balance, I’ll place both civilian and military jets side by side, even though they’re generally in entirely different leagues. I’ll try to be short on the details for most contenders on this list — partly because some are boring and easy to find online, while others are straight-up classified information — but I’ll give you a little extra on the last two jets. So let’s get on board. Bombardier Global 6000 operated by VistaJet Malta. Image credits James / Flickr. A nice little private jet to start our list with, the Global can reach speeds of up to Mach 0.9 (Mach 1 is the speed of sound). The 5000 variant is slightly smaller, while the 6000 variant is larger and also sees (and is modified for) military operations. These include airborne radar and control, battlefield communications, surveillance, and maritime patrol. Image credits Papas Dos / Flickr. The Citation X+ is one of the fastest civilian aircraft in the skies today, able to reach Mach 0.935. (close to 717 miles / 1154 kilometers per hour). 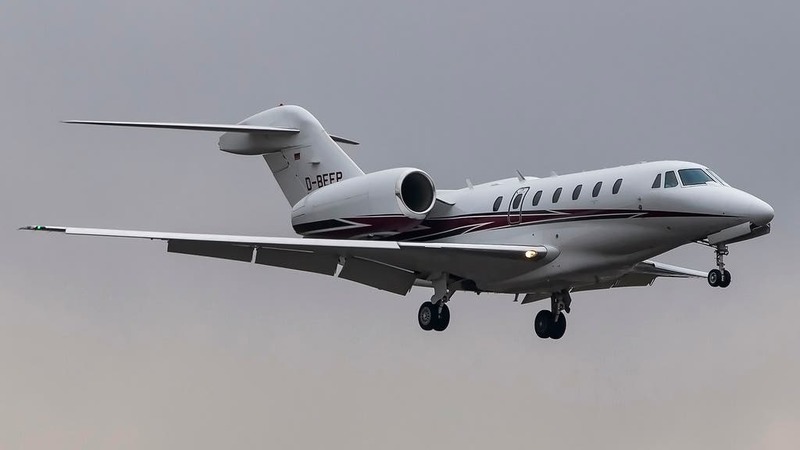 It’s a bit larger than the older Citation X and boasts a higher cruising speed, payload, and range. It’s still very pretty, though. A Ukrainian Air Force Su-27 at the RIAT airshow, 2017. Image credits Airwolfhound / Wikimedia. Zis is ze Russian menace, comrades. 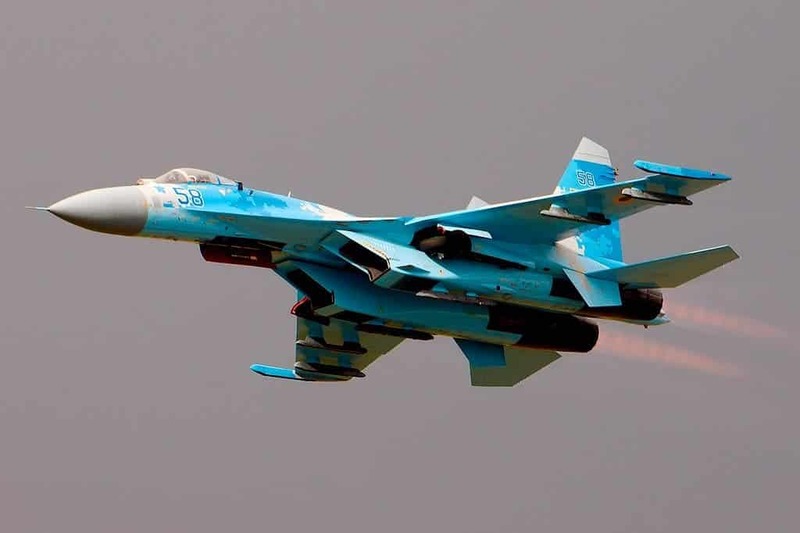 Developed as an air superiority fighter to counter novel US fighters in the early 70s, the Su-27 subsequently took on all manners of air combat missions. With a huge payload of rockets and bombs, a 30-mm gun, very good maneuverability, and a maximum speed in excess of Mach 2.25 it definitely deserves a place on our list. The Su-27 found its fans in Soviet, Russian, and other nations’ military command structures. This airplane is still in use and has served as a base for a lot of later variants. Image credits Shannon Collins / Flickr. Remember how the Sukhoi was designed to “counter novel US fighters”? This was one of those novel fighters. It was actually a very good plane for its age and can still hold its own against more modern adversaries. The Eagle took its maiden flight in 1972 and was accepted into service in 1976. It is among the most successful Cold War fighters, with over 100 victories and no losses in aerial combat. Goes a bit over Mach 2.5. 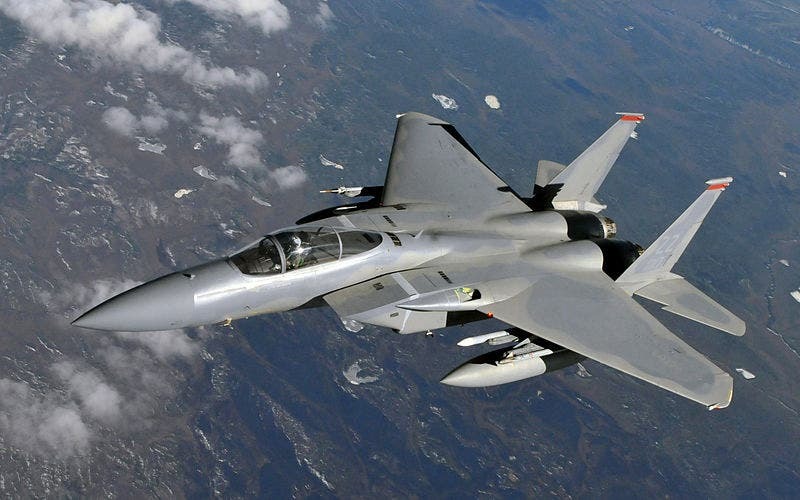 Like its arch-rival, the F-15 was designed as an air superiority fighter and has served as a base for multiple variants. Unlike the Sukhoi, however, it has less impressive ground strike capabilities (due to a lower payload). It is a more specialized counterpart to the Soviet jack of all trades. While both look smashing, sorry democracy, but I like the Sukhoi just a tad more. A Russian Air Force MiG-31 in flight. If the world’s Russian stereotype could become a plane overnight, this would be it. Is it pretty? No. Does it need to be? Also no. Can it run solely on vodka? Probably. Is it scary? One of the fastest jets in the world today, the MiG-31 cruises at Mach 2.83. 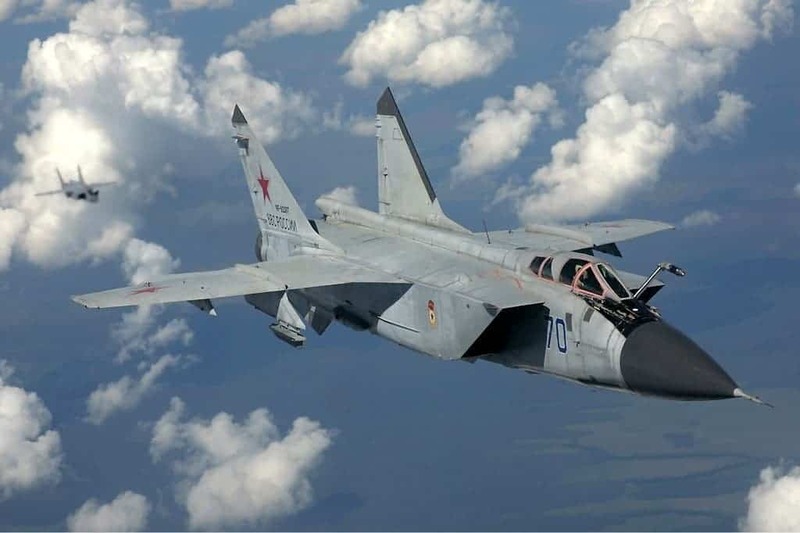 However, if you’re feeling brave and don’t think a fighter needs its engines and fuselage to hold together, you can push this MiG up to a whopping Mach 3.2. You and your co-pilot, who is manning the MiG’s weapons. Why so fast? Well, the previous two fighters were designed for air supremacy (i.e. duking it out with opponents to gain control of airspace). That needs poise, a certain grace in flight. The MiG-31, on the other hand, is an interceptor. It is designed around a radar that can track multiple targets, a whole bunch missiles, big, beefy engines, and not much else. Interceptors are meant to climb fast, fly fast, and fly high. Once there, they would pummel enemy bombers and long-range ballistic missiles before circling back to base — rinse and repeat. The fighter’s upper-speed limit of Mach 3.2 is in no way, shape, or form sustainable if used often. The temperatures and mechanical stress generated from air friction will rip and burn it apart at the same time. But if your job is to shoot down incoming nuclear ballistic rockets, sometimes you just need the speed — whether the plane makes it or not is of secondary concern when whole cities are on the line. The Concorde is an iconic piece of wing. Designed and built in the 1950s (as part of a French-British collaboration between Aérospatiale and the British Aircraft Corporation), the Concorde made its maiden flight in 1969. It is the first of the only two supersonic planes to have been operated commercially. 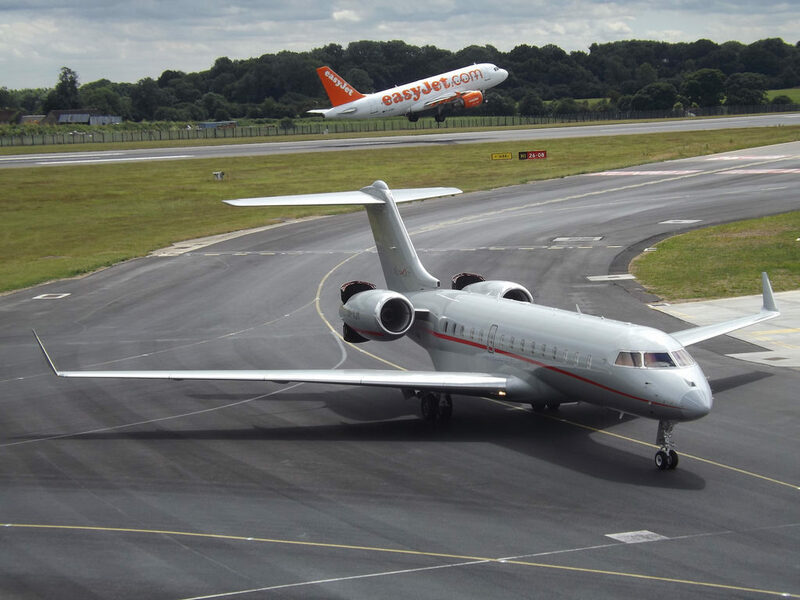 The other is the Tupolev Tu-144, which is pretty very similar to the Concorde. The Concorde could reach speeds of Mach 2.04 (2,180 kph or 1,354 mph) at cruise altitudes, comfortably seating between 92 and 128 passengers. It mostly saw use with wealthy individuals who could afford to pay for the luxury services and thirsty engines high speeds. 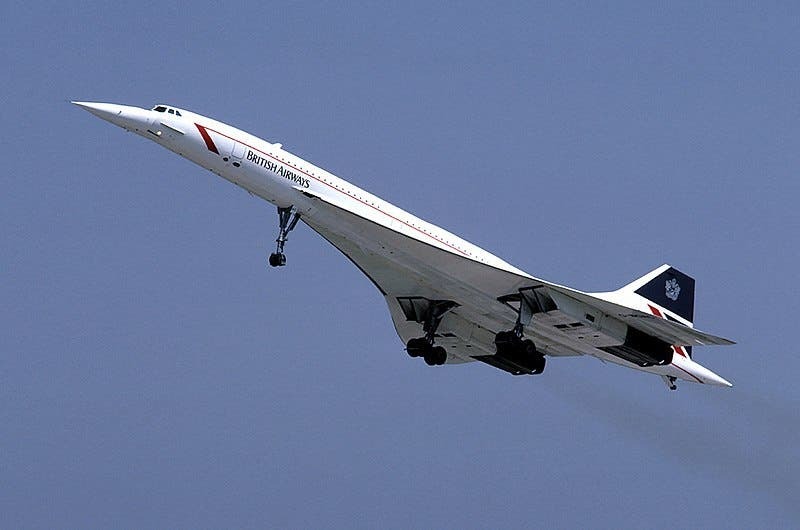 In 1997, for example, a Concorde trip from London to New York cost just under 8,000 US$ (12,000 US$ in today’s money), around 30 times as much as a ticket on a conventional passenger plane. The trip did, however, only take about three hours. One of Concorde’s most striking traits is its wings. 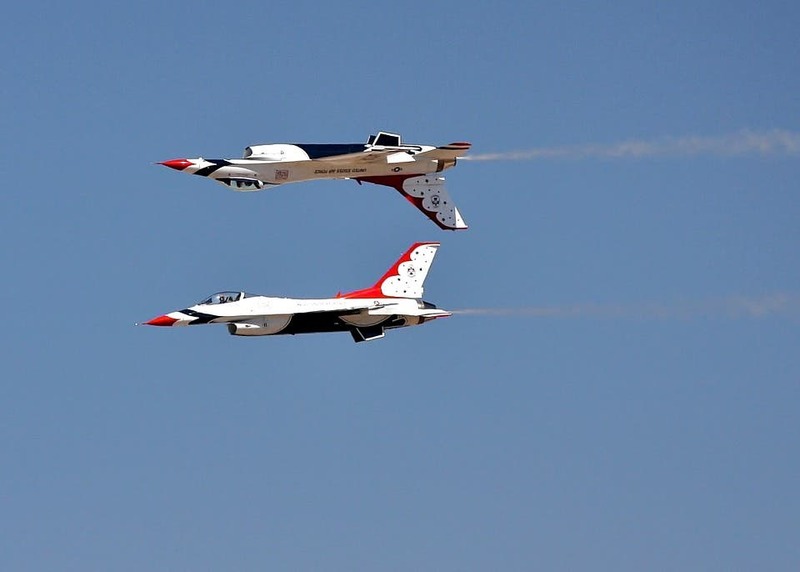 They were purposefully designed with short-spanning, ogival (or double) delta wings, as drag at supersonic speeds strongly depends on wingspan. Delta wings produce lift by ‘rolling’ air into vortices of low pressure on their upper surface. However, this type of wing can’t be fitted with flaps (control surfaces) and provides relatively poor lift and control at low speeds. That’s why the Concorde’s wings extend over such a huge part of its length — the plane wouldn’t be able to get off the ground without the extra wing surface. Delta-winged aircraft are particularly cumbersome during take-off and landing because the whole craft has to be angled in lieu of flaps. The Concorde took off and touched down at an extreme angle; the first in order to artificially-increase its lift, and the latter in order to use the wings as airbrakes. This requirement is also why the cockpit can angle itself down. Air France Concorde landing at JFK in the summer of 1980. So derpy, though. Image credits Ron Reiring / Flickr. It experienced high heat during flight; virtually every piece of the plane’s exterior (windows included) were reportedly warm to the touch after landing. The plane could, in practice, fly faster than its advertised specifications, but it was limited to 2.04 Mach as anything faster would melt its aluminium fuselage. Its skin expanded by as much as 1 foot (30 cm) during flight. High running costs and a ludicrous development price limited the Concorde’s commercial career. The aircraft was also plagued by an immense thirst for fuel and high emissions, and was forbidden from flying at supersonic speed over populated areas as its sonic boom could and would break windows. 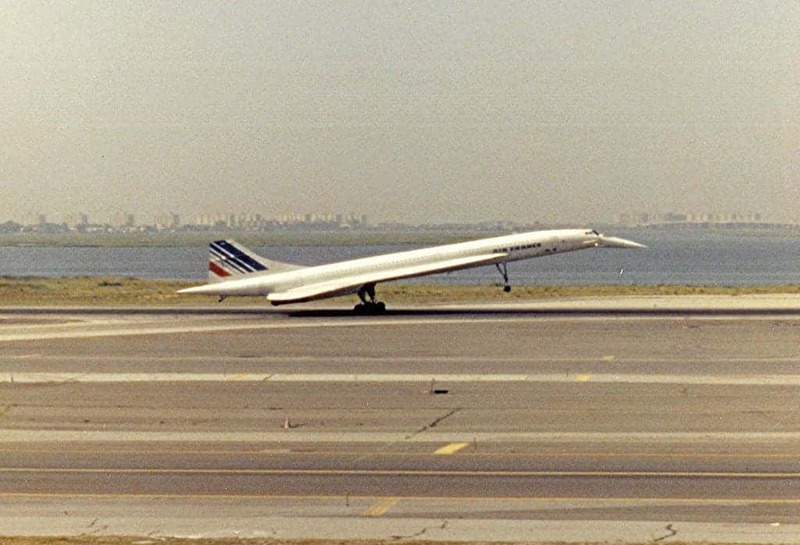 On July 25, 2000, a Concorde flying from Paris to New York City suffered critical engine failure shortly after takeoff due to debris from a burst tire rupturing and igniting a fuel tank. The aircraft crashed into a small hotel and restaurant, killing 113 people (100 passengers, 9 crew members, 4 people on the ground). Concorde still supersonically limped until retirement in 2003, but this crash virtually ended its career. Still, the Concorde made history. The SR-71 from Lockheed. Image credits U.S. Air Force. A high-speed, high-altitude reconnaissance aircraft. 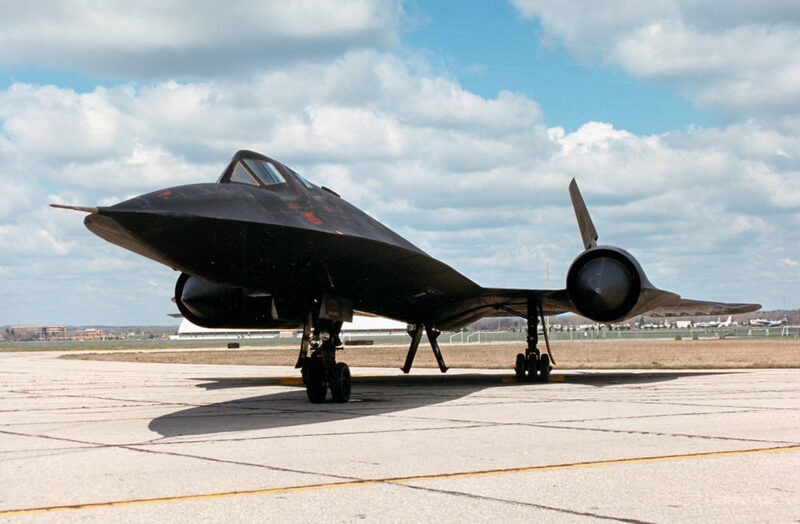 Developed and built (by Lockheed’s Skunk Works) in the 1960s, the Blackbird remains the world’s fastest jet. Able to go over three times the speed of sound, at 3.3 Mach (4,073 kph / 2,200mph) this plane is a technological jewel. It is also an exercise in extremes, a legend on wings, and the plane that the X-Men fly around. Designed as a recon and bomber aircraft, it was later earmarked specifically for Strategic Reconnaissance. The requirements placed by the US Government when the project started were — to put it bluntly — hilariously over the top. The Blackbird had to fly higher and for longer than any other plane at the time. It had to be able to hide from (it was the world’s second stealth aircraft) or outrun any Soviet interceptor or air defense platform, deep in enemy territory, with no hope of reinforcement. It had to be stable enough to photograph whatever the Soviets were doing, 90.000 feet (27.432 meters) below. It needed unique life support systems to keep its crew alive, on missions that would take hours upon hours at a time. Somehow, the designers delivered, and created a vehicle in a class of its own. “Everything had to be invented. Everything.” recalls Kelly Johnson, one of the main designers of the aircraft. As a telling example, the Blackbirds’ engines come equipped with unique air intake vanes that shift position mid-flight to keep the bleeding edge of its sonic boom out of the engine cowlings. Without these, the SR-71 would literally fly so fast that incoming air would explode its engines clean out of the frame. Image credits National Museum of the USAF. No expense was spared for this jet. 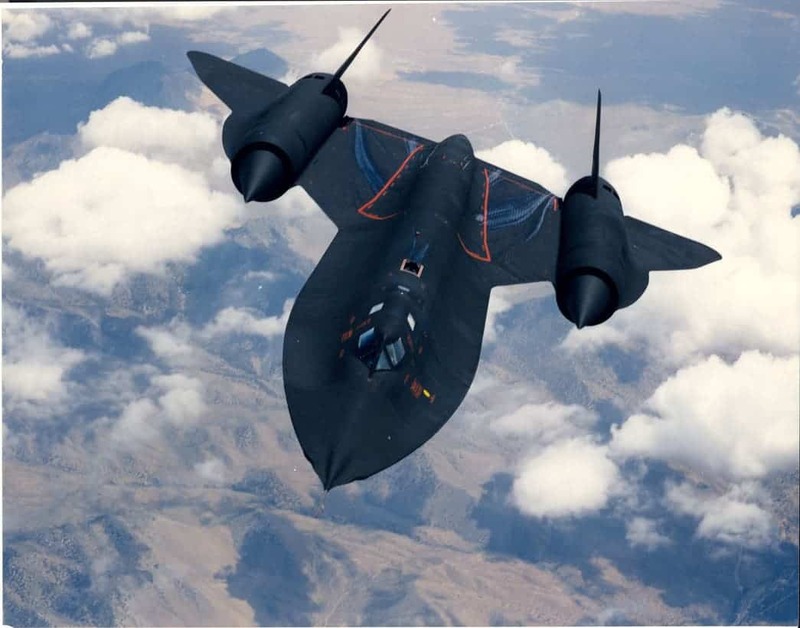 In an age when the American aircraft industry used titanium with extreme stinginess (it was very expensive and hard to acquire), the SR-71’s structure was 85% titanium. It was high-grade stuff, too — Lockheed engineers refused roughly 80% of the titanium shipments they received due to it not being pure enough for the job. No other alloy was strong enough to resist the immense forces its engines bellowed out while being light enough to keep it fast. Lesser metals would simply melt off the aircraft mid-flight due to air friction close to its maximum speeds. Lockheed had to develop new tools and procedures to work with titanium, as it does become very brittle during construction and will break if mishandled — these are still being used today. Temperatures on the aircraft’s leading edges were expected to exceed 538 degrees Celsius (1,000 Fahrenheit) during flight. At the same time, ambient temperatures outside the cockpit window would be -60 degrees Fahrenheit (-51 Celsius) due to its extreme cruising altitude. The inside of the windshield reached 250 degrees F (120 °C) at Mach 3.2. Lockheed A-12 (SR 71 Blackbird predecessor) wind-tunnel test models at NASA Langley, showing an interesting canard configuration as well as the more familiar configuration that was ultimately used. Image and caption credits NASA via Wikimedia. This plane could abuse itself so much — the extreme conditions it experienced during flight made it usually return from missions with missing rivets, panels ripped off, and parts such as inlets needing replacement — that the US Air Force needed about a week’s time to get them back to shape after a sortie. There were cases where repair teams needed a whole month to get the planes back into shape. According to military reports, the Blackbirds logged 53,490 total flight hours and 11,008 mission flight hours. During this time, over four thousand strikes have been fired in anger against them. None found its mark. They were retired from active service in the 1990s. Still, from the delicious design and ludicrous requirements to the excellent service record and sheer ability of this airplane, it remains a legend among its kin.